"I only let special guest actually use the quilt." LOL!! ...and watching them grow on my design wall. I used a button stitch to machine applique each flower to it's neutral back. 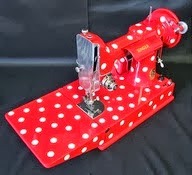 Here's a great way to "try out" some designs without having to use a seam ripper later! 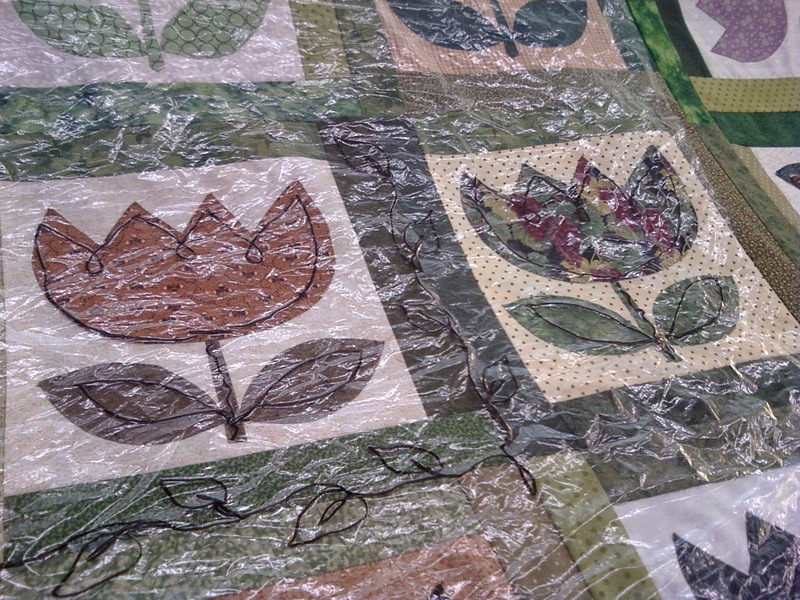 Save your dry cleaning plastic or use any other thin plastic and lay it over your quilt. Then, using a black sharpie, doodle your FMQ patterns. As you can see, we kept this quilting simple. Thanks for the pictures mom and for taking such good care of this quilty hug! It's a great quilt! I have that book too and have made a couple of things from it. What a geat quilt! Love how you turned the tulips for the hang. And the back is as pretty as the front. I love your tulip quilt but I think my favorite tulip is the one you made for the label. The scrappy tulip is charming and of course the sentiment can not be beat. Your quilt is exquisite! You did such a beautiful job! 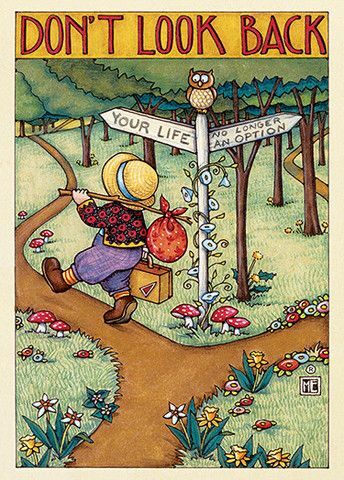 Val, you get so much done and your work is beautiful! This is cool. 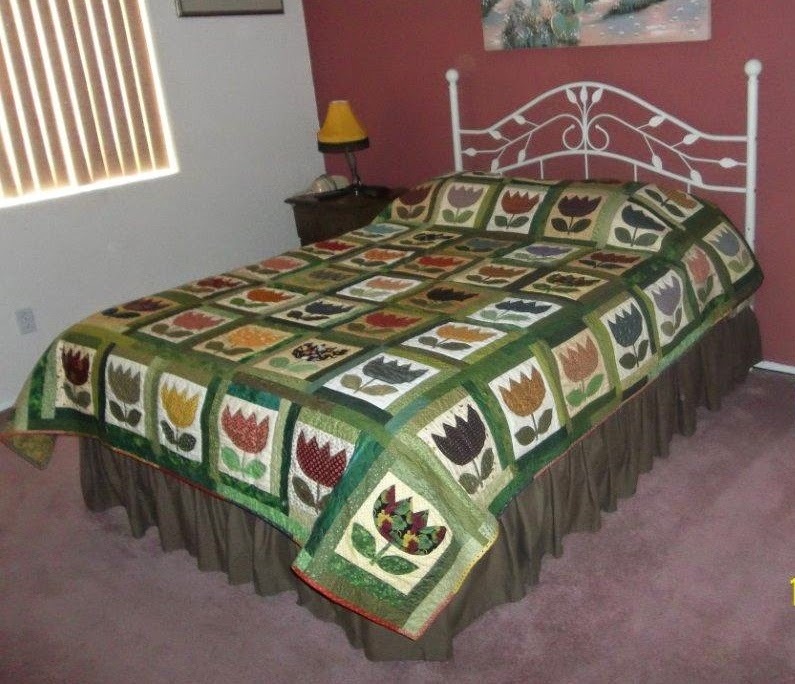 Tulips are my favourite flower, so a whole quilt of them seems just perfect to me. 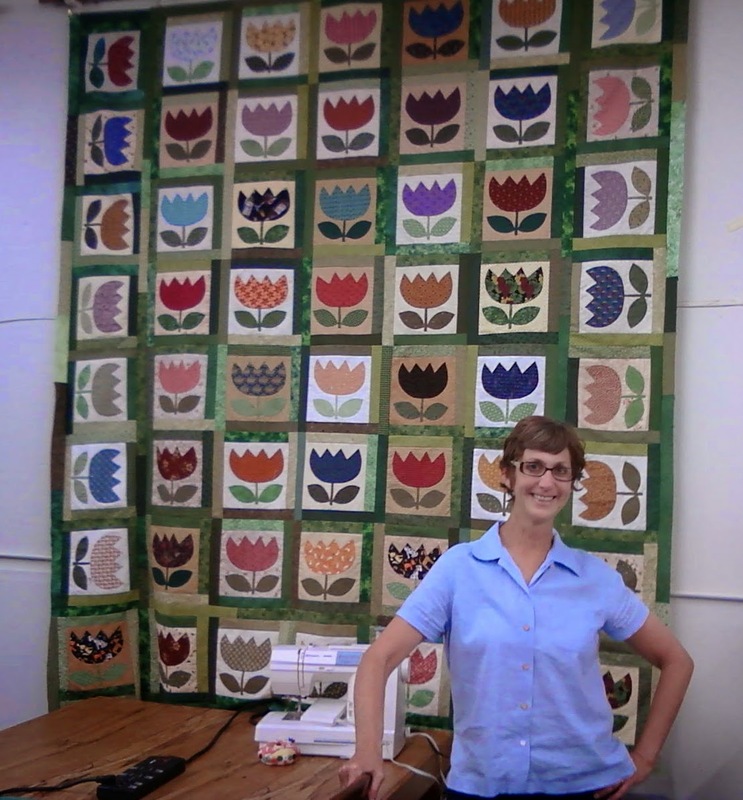 Oh Val, this is an incredible quilt, I admire you! Cheers. 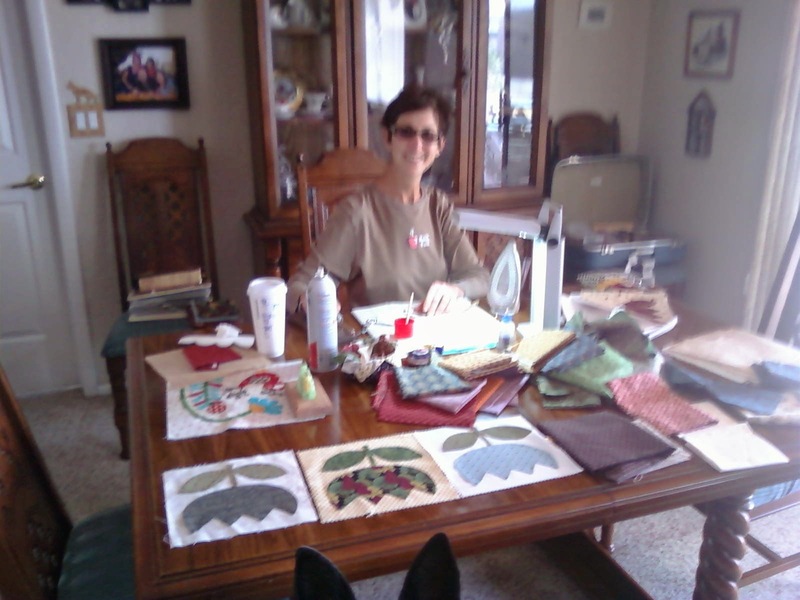 Aside from making a beautiful quilt, it's especially nice when you are making it for someone special! And thanks for the tip on the Quilting Trial with the dry cleaning plastic. Now if I ever dry cleaned anything, I'd be set! Oh Val! It is so beautiful! I can see why your Mom takes such good care of it! Love the tulips! And it's an interesting project to make, both applique and pieced. I like that you used I Spy fabrics, too. Lots to look at. Thanks for the look/see. I love this quilt and I can't decide whether I like it better hanging on the wall or on the bed! I love the quilt! 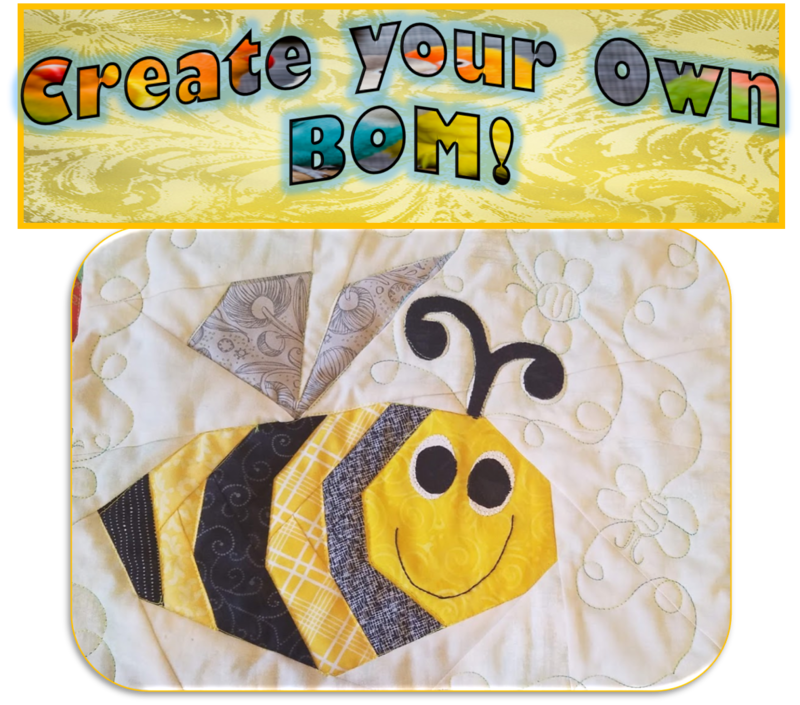 Your tip for free motion quilting is great too. Thank you for sharing. When I saw it hanging on the wall I couldn't figure out why some of the tulips were sideways - then I saw it on the bed. Derrrr. I love the back, especially the label. Such a pretty quilt! Love the unique fabrics you used for each flower. Great pictures! Wow Val! That is a gorgeous quilt. I would love to have one for my bed during the spring. 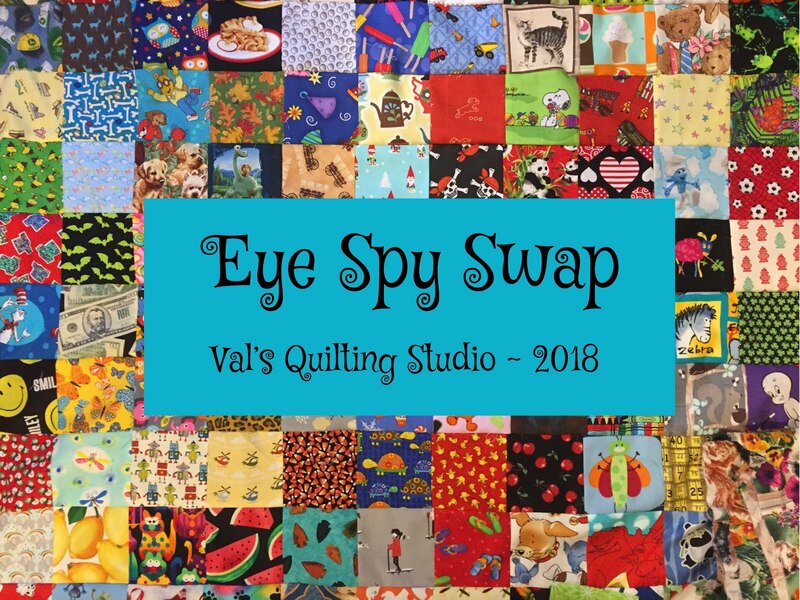 Such a great tip for auditioning the quilt pattern...very clever. This is such a special quilt! Moms are great. I sure miss mine. Amazing quilt and beautiful stitching . So difficult to work with such large quilts. Love the flowers they are fantastic. It's beautiful -- I can see why she only lets special guests use it! Loved seeing that dry-cleaning bag trick -- very clever! What a fun share. This quilt is perfect in that room! I have a few older quilts I should do a record for, too. 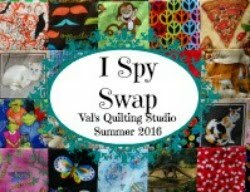 Val what an adorable quilt to go along with that sweetheart of a mom you have! Thanks for sharing both with us. Your mom is so lucky to have that sweet quilt - a treasure ❤ Happy New Year! What a beauty! And to know it is so enjoyed is even better. You do such great work, Val.